More than 30 migrants died and 200 were rescued on Saturday after their boats foundered off Libya's western coast, the Libyan navy said. The coastguard conducted two rescue operations off the city of Garabulli, 60 kilometres (40 miles) east of Tripoli, spokesman Colonel Abu Ajila Abdelbarri said. He added that patrols had found 31 bodies and 60 survivors from one boat, while all 140 passengers had survived in a second boat. "When we arrived at the spot, we found an inflatable dinghy with several people clinging to part of it," he said. 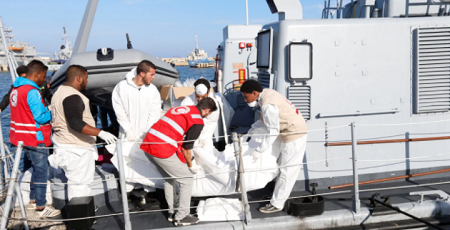 Libyan navy spokesman Ayoub Qassem told AFP that 18 women and three children were among the dead recovered from the sea, while 40 people were missing. Migrants from Somalia, Ghana, Ethiopia, Nigeria and four from Pakistan were among those rescued.